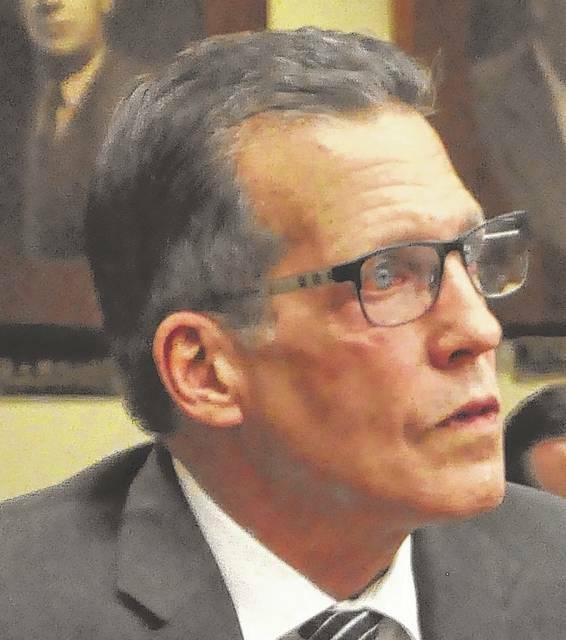 The trial for a former municipal judge accused of “double dipping” while he served as a defense attorney in 2012 will begin Tuesday in Delaware County Common Pleas Court after a jury was selected Monday. Michael C. Hoague, of 17 Carriage Drive, Delaware, is charged with two counts of tampering with evidence, third-degree felonies, and two counts of theft, fifth-degree felonies. He appeared in court Monday for the jury selection process and around 3:30 p.m. a jury of seven women and seven men were sworn in and seated. The trial will begin Tuesday morning with opening statements from Assistant Ohio Attorney General Brad L. Tammaro, who is prosecuting the case, and from Hoague’s defense attorneys, Ian N. Friendman and Mark R. Devan. Visiting Judge James A. Brogan, a retired judge from the Second Circuit Court of Appeals, will preside over the case. Hoague’s attorneys state that a plan to pay Hoague on a monthly basis for consulting on the case was set up by Hamon’s family before he was later brought on as a public defender. “Those services were a separate matter, and his appointment to represent her son at trial did not erase her obligation to him to make payments toward the agreed upon amount for those services,” Hoague’s attorneys wrote in their trial brief.